iPad was supposed to be the game changer. It was hailed as a revolutionary product. Steve Jobs said that the iPad was going to start a new era – post PC era. Well iPad made a good start but it didn’t stick for long. It had a purpose, it still does but other categories have bitten some from the iPad or generally the tablet. With the coming of large screen phones, people saw little or no use of buying another device. Even if they do, it becomes cumbersome to handle so many devices. I’m not saying that tablets are dead, they’re actually still used, mainly for stuff like watching TV shows or movies on Netflix while lying on the couch, doing quick Google searches, other small tasks. The tablets do those tasks perfectly, especially the iPad – it’s simple to use and offers a bunch of iPad optimized apps. People don’t buy iPad every year like their iPhone, they buy an iPad, stick to it for 3-4 years. iPads don’t usually get any exciting updates that make the user spend all their money right away and also the iPad helps only in performing a limited number of tasks. Well, all that led to the iPad sales go down. The sales haven’t picked up for sometime now, it’s just going down. 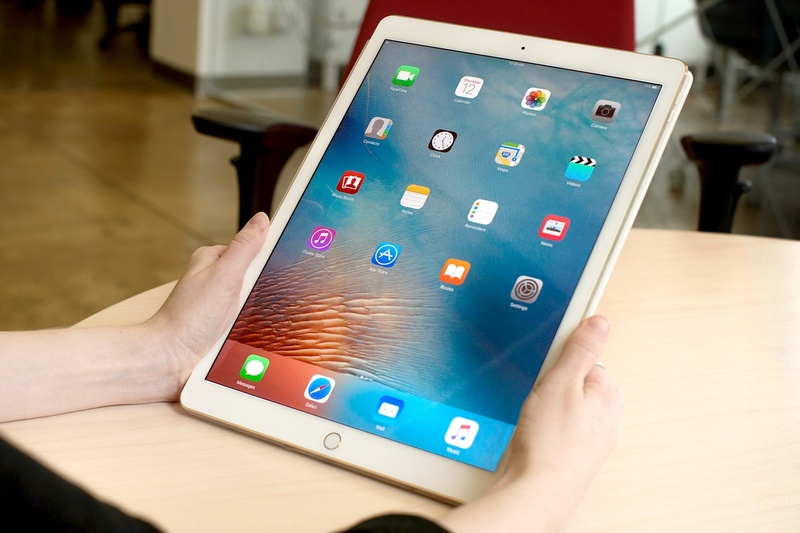 Apple tried to solve the problem with the introduction of iPad Pro, especially the 12.9 inches version. The company hooked a keyboard and a stylus to the iPad and called it revolutionary. Tim Cook, the CEO of Apple, said that he finds no reasons so as to why someone would buy a laptop or a desktop in 2016. He meant to say that the iPad is the next big thing, that it’s going to leapfrog the computer business. That didn’t happen. So, to counter that, according to reports, Apple is building a 10.5 inch tablet as they found that the 9.7 inches is small for enterprise uses and that 12.9 inches is expensive. Let’s see how that stacks up.